University, training in different agencies and my first permanent job as a graphic designer. After three years in the design world of Berlin I decided to follow a dream that was still surviving from school times. Before "I would like to" became "I wish I had" I packed my backpack, grabbed my Lonely Planet and was on my way to New Zealand. A year later I returned to Germany just to pack the rest of my belongings and came back to Auckland to do what I enjoy most. Design. 2015 – Now Freelance designer based in Auckland. 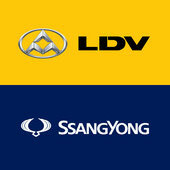 Clients/Contracts: Ikon, Orange Productions, Camsensor, SsangYong, LDV, Principals, Vend, Change Hub, The Rental Bureau, Puresafe. 2011 – 2015 Senior designer at Marque in Auckland. 2009 – 2011 Freelance designer based in Auckland. Clients/Contracts: Interbrand (DDB), Designworks and Change Hub. 2008 – 2009 Work'n'Travel New Zealand. Freelance jobs for the Simply You magazine in Auckland and the Design Studio Band in Napier. 2005 – 2008 Graphic designer at the German design agency jonasgold in Berlin. 2000 – 2005 University of Applied Sciences and Arts in Hanover, Germany. Diploma in communication design focus on visual communication. 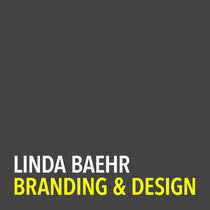 "Linda is a very slick and professional graphic designer. Her skills are a great asset and I have used her to greatly add value to a number of projects. More importantly, she works to deadlines, delivers high quality work when she says she will and is very easy to communicate with. Although I am now based in Wellington she is still my go-to person for graphic design." "Linda was a fabulous support for our small in-house marketing department and confidently worked alongside senior sales and marketing staff and external brand and media agencies. Her design is eloquent and I was impressed with how she analysed feedback and implemented changes accordingly. She very quickly adopted the brand 'look and feel' and competently picked up the ad bookings process as well as the busy design role. She was involved with the roll-out of the LDV Vans brand re-fresh which was extremely successful. I would highly recommend her to any organisation – she is a pleasure to work with." The Rental Bureau – Great tenants. Happy landlords. The idea and a name was there, all it needed was a face. Many property management offers around are quite complex, so this small West Auckland based start up is making it easy for tenants and landlords alike. The Rental Bureau’s approach is “keep it simple”. 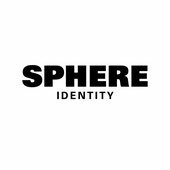 Hence the main driver for the brand development was simple. Making it easy to understand that The Rental Bureau is not about renting cars or hubbies, the main visual mark is a house. Build out of a simple triangle, this house can also become a visually striking pattern. It stands for all the unique homes The Rental Bureau represents in this wonderfully diverse city of Auckland. There is a disagreement whether the primary colour is a warm red or a burned orange. But never mind the name, it is nice to have a bit of variety in the predominantly blue world of property management. With a range of secondary colours on hand, the brand can easily be toned up or down to suit every occasion. Graphic elements are simple vector shapes, illustrations and icons. This gives great flexibility in visualising content and is keeping the cost down. Well into the second year The Rental Bureau is going strong and growing steadily. Watch this space. Everything is possible with these guys. Copyright 2017 © Fräulein Baehr – Graphic Design. All Rights Reserved.